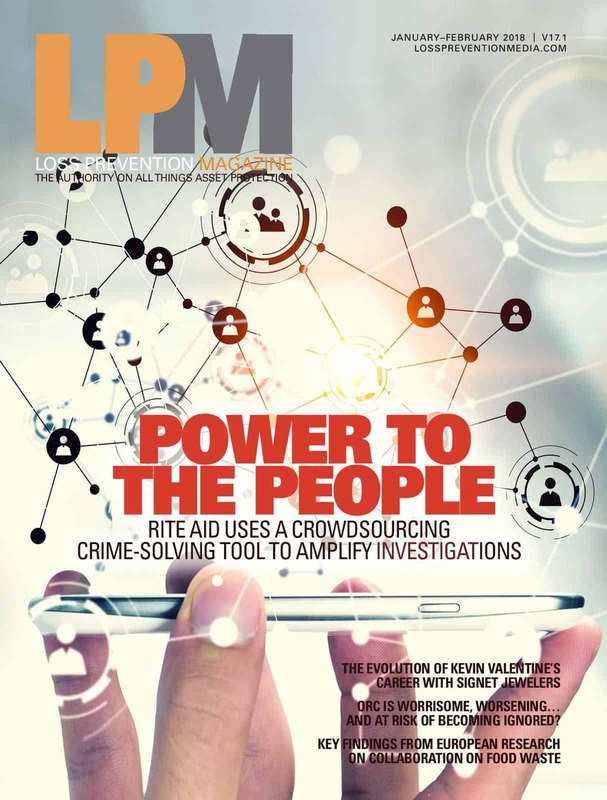 From Rite Aid’s latest crime-solving tool to the evolution of Kevin Valentine’s career with Signet Jewelers, from today’s biggest concerns surrounding organized retail crime to recent research on food waste reduction, the January-February 2018 issue of LP Magazine is designed to inspire and inform, educate and advance loss prevention professionals. Check out the digital flipbook version of the January-February 2018 issue. ORC Is Worrisome, Worsening…And at Risk of Becoming Ignored?